Install a completely new system, a redesign, or a simple addition to your current facilities. We work with all the major brands such as Daikin, Mitsubishi Electric, Fujitsu, MHi (Mitsubishi Heavy Industries), LG and Samsung. We take temperature control seriously and leave nothing to chance. All installations start with a consultation at your premises to establish your unique requirements. 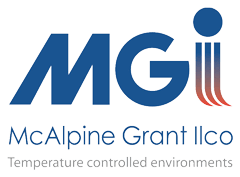 Once MGi has a clear understanding of the needs of your particular location, we set about designing a bespoke solution that provides both the layout and functionality required. With stylish indoor units, a wide range of models and controls for each room, wall mounted air to air heat pumps give you comfortable, energy efficient solutions for your living room, bedroom, office etc. These are well-suited to large and long rooms. They provide powerful air flow and are significantly more powerful than standard wall units and can therefore reduce the amount of units needed. This reduces installation costs where multiple units are required. Console units are often the best choice for air conditioning a conservatory. Due to large amounts of glass, many conservatories do not have full-sized solid walls; therefore, specialist low wall-mounted or console units can be easily placed. Popular in modern offices. Although they are slightly more expensive than wall units, ceiling cassettes are almost entirely hidden within a suspended ceiling and are therefore more discreet and aesthetically pleasing. All that is visible is an almost-flush fascia panel. These are usually the most expensive option; however, they are also the most aesthetically pleasing as the duct-work and internal units are hidden entirely within a suspended ceiling with only small grilles remaining visible. The first step towards installation is your free survey. If you are feeling the heat, click the button to the right to book your visit and one of our sales team will get back in touch to discuss your requirements.